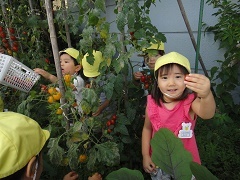 Today Koala Class picked tomatoes together. 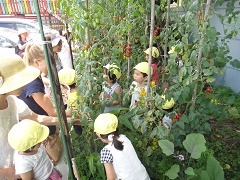 We planted the baby seedlings before summer vacation and watched them grow into beautiful adult plants. 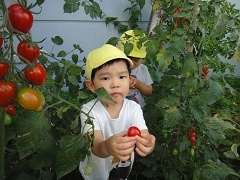 The sun was out and everyone was full of smiles as we filled the basket with tasty ripe tomatoes. I hope everyone enjoys eating their tomatoes! Yummy!